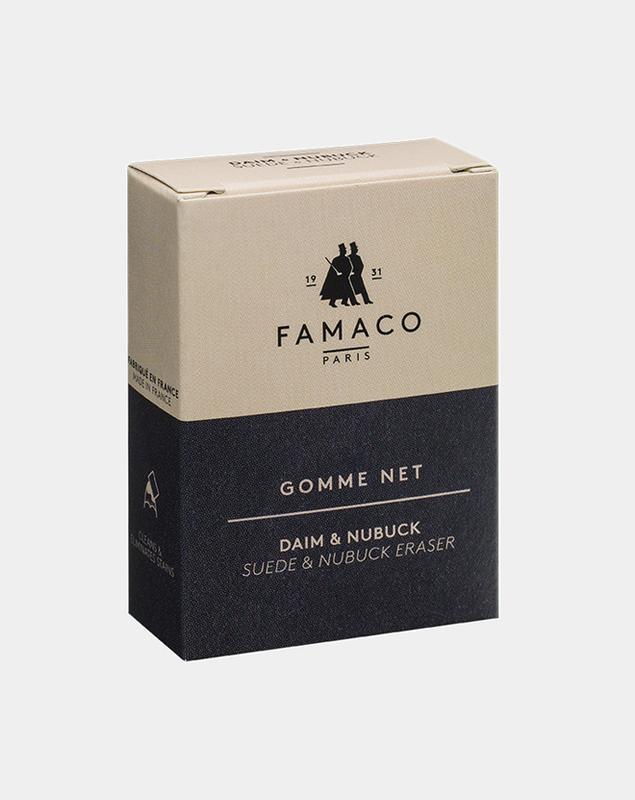 Gomme douce is a soft gum to be used for delicate suede and nubuck. It removes even deeply embedded dirt or stains to deep clean suede or nubuck shoes, clothes or bags. Use the suede eraser in the same way you would a pencil eraser on nubuck and suede items and for deeply embedded stains. 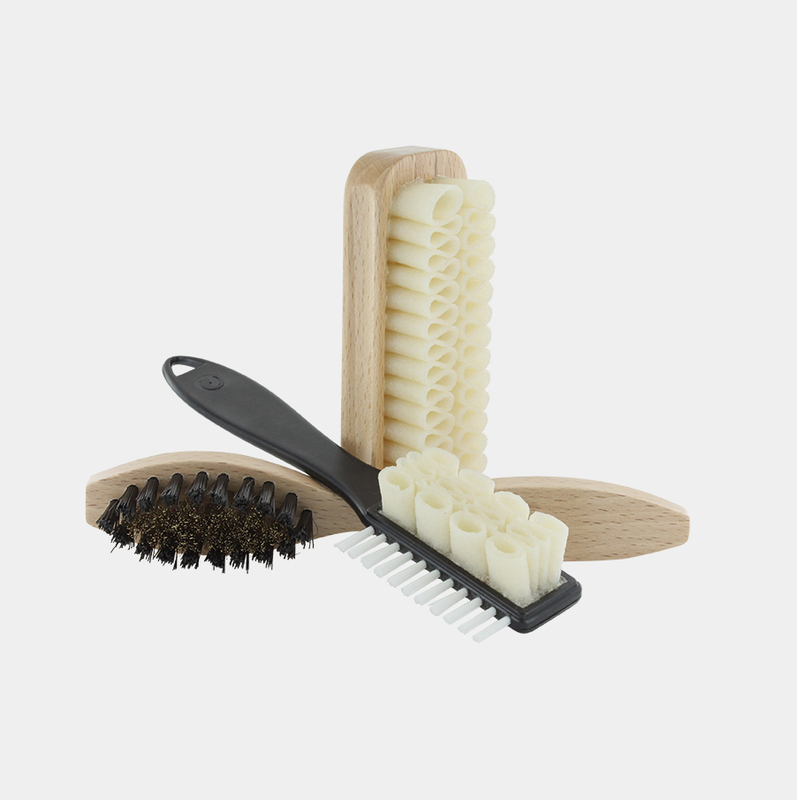 Natural crepe brushes and brass bristle brushe for suede and nubuck (a brass bristle brush gives a deeper clean). Suede or nubuck shoes must be completely free of dust before any shoe care ( shampooing, waterproofing, dying). It is highly recommended to brush the shoe after using a colouring product to smooth down the material. Net Eraser is an abrasive suede eraser which eliminates stains and scuffs. A removeable eraser for intensive cleaning that eliminates stubborn stains on suede shoes, clothes and bags. Use the suede eraser in the same way you would use a pencil eraser on nubuck and suede items and in particular for deeply embedded stains or black marks on light suede. Suede and nubuck Renovator Spray recolours faded suede and nubuck using a pigmented and soft formula. 7 colours available. Remove dust or dirt with a brush. Hold can 25 cm away and spray in short bursts, avoid overspraying, leave to dry completely. 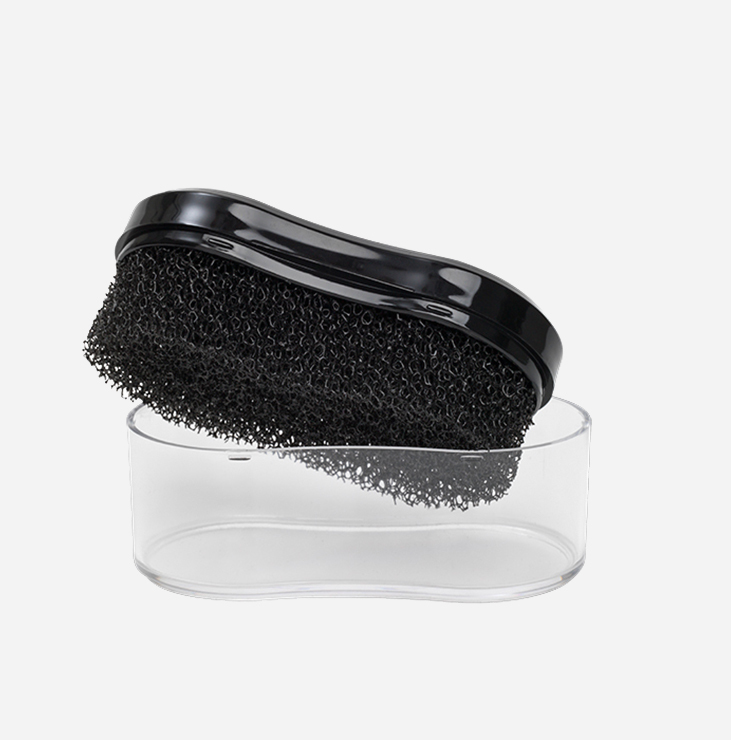 Use a Famaco natural crepe brush to restore the nap. Colour renovating spray for suede and nubuck. 100 ml. Neutral. 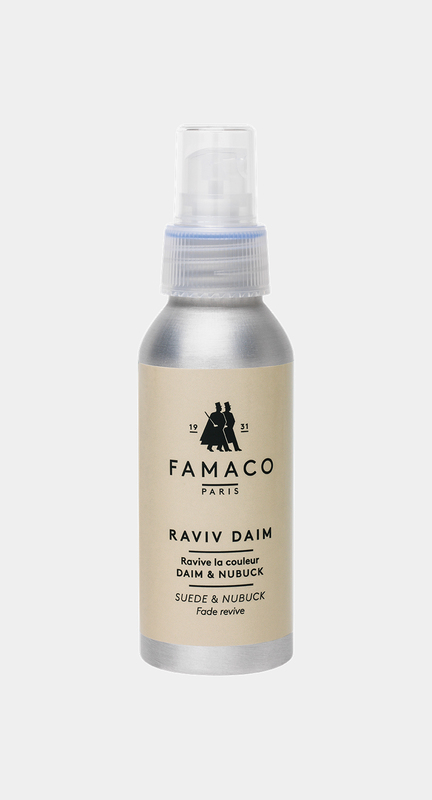 Velly Daim restores original colour and softens suede and nubuck. More than 25 colours available. Remove dust or dirt with a brush. Shake the bottle and apply Velly Daim using the applicator. Once dry, use a natural crepe brush to restore the nap. Bottle 100 ml with brush. Vel Vel is a soft shampoo, particularly useful against stains and restores original colour. Remove dirt from the shoe, if possible use a plastic shoe tree. Apply the product evenly using the brush and work into a lather. Pay particular attention to stains. Rinse thoroughly in clean water until the product has completely disapperated. Leave to dry away from direct heat. Use a natural crepe brush to smooth down the material. Display Kit of 20 sponges.